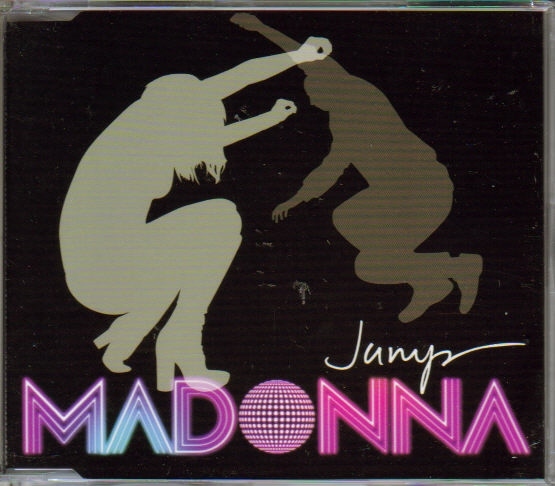 Anyway, my favourite Madonna song this week is ‘Jump‘ from ‘Confessions on a Dance Floor’. The beat is perfect for fast walking, and the (very cheesy!) lyrics are like a pep-talk from an older sister. I’m learning to be a yoga teacher (a size 16/18, can’t do full-lotus, teach from the heart yoga teacher!) and I am pretty terrified of taking that step of teaching my first classes. I keep delaying it, throwing obstacles in the way. Now I’ve secured a spot on the Zing timetable on Monday nights, starting next year…so my teaching debut is mere months away. So, while I’m schlepping home from work, or striding to yoga with my iPod on – I’m listening to this tacky pop song on high rotate – the chorus has become my mantra around making that step from yoga student to yoga teacher. What exactly am I waiting for? Perfection? Not gonna happen. For it to be easy? That’s not gonna happen either – first times are always hard. That’s why the song is resonating, I think. It feels like a ‘jump’ because it is. Do you have a cheesy pop power song? I listen to Kanye West’s ‘Power’ to try and Tony Robbins my way into work sometimes. Kanye West is my imaginary scary boss.